The old adage says that good things come in threes. 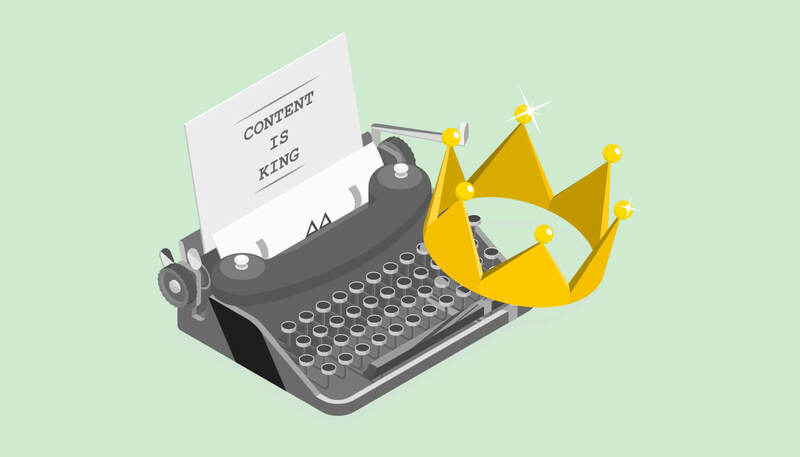 From fairytale themes to basic art and design formulas, the “rule of three” principle suggests things that come in three are more harmonious and more effective than any other groupings — and this rule certainly applies to digital marketing. For your marketing strategy to be successful, each element needs to work with the other two as shown in the diagram below. Think of earned media as word-of-mouth (WOM) version 2.0. The days of your friendly neighbor Eve raving about this fantastic taco stand on Main Street or that annoying guy in your office outlining every single flaw on the latest Android release are over. These days, WOM is all about mentions, shares, reposts, reviews, recommendations or content picked up by third-party sites. Forces that drive earned media include strong organic rankings on search engines and good content published by the brand. This means that the content that your brand publishes must be interesting and informative to receive the earned media (i.e. the all-important first page) that your brand deserves. The more owned media you have, the greater your ability to extend your brand presence in the digital sphere and ramp up your earned media cred. If you’re seeing your content appearing on the first page of search engines, this means that your owned media sites are in a stronger position to attract higher engagement and shares. In other words, you’re gaining earned media — and that your SEO manager is doing a commendable job! The final element, paid media, refers to the act of promoting content to increase traffic to owned media properties, resulting in a drive in earned media. 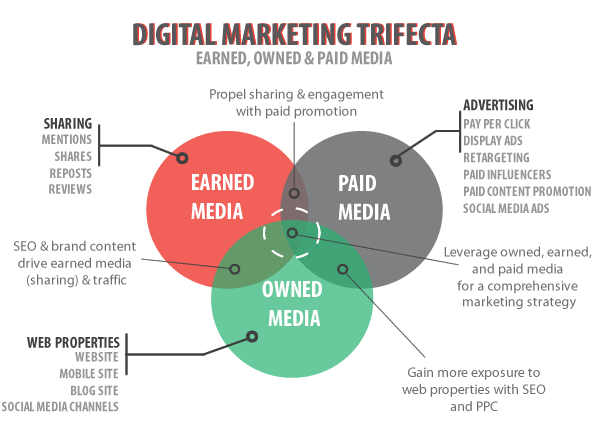 Earned, owned, and paid media all have their own roles to play in the digital marketing triangle. As you can see, an effective digital marketing strategy involves using all three elements. Naturally, your marketing strategy cannot function when one element is missing. However, your job is to evaluate all three elements and decide how you will allocate your resources. It’s impossible to sink your teeth into paid media if there is no owned media in the first place. Likewise, earned media cannot exist without owned media — and perhaps a bit of paid media to gently coax things through if your business is still new.